Our roofing in Camas won’t be beat! When you’re looking for a roofing contractor in Camas, you want someone that will do the job right. 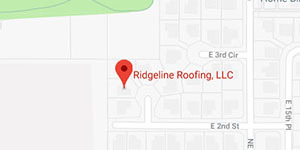 As a local company focused in Clark County, Ridgeline Roofing not only knows how to do any kind of roof work you need, but we know how to make it last in the unique climate of the region. As experienced roofing contractors, our team can handle any type of roofing job, including the big ones. With service and integrity being our core values, we always strive to find the least expensive type of work that will be effective for your situation. Sometimes, salvaging an old roof isn’t worth the cost, especially when you can get a newer, better, warrantied roof for less money! We do roof repairs too! While roof replacement and installation are big jobs, we can help with the little things too. Do you have a small leak you need patched up but don’t want to risk going up there? No problem. 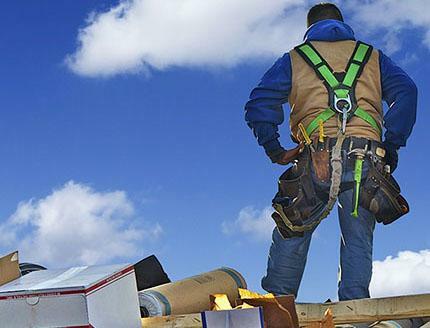 Our roofing contractors know the proper safety precautions, how to identify the source of the leak, and how to do roof repairs that will last. 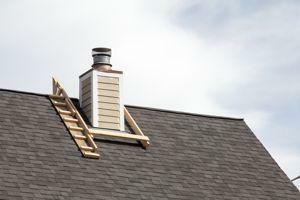 Call us for leaks or any other roof issues. At Ridgeline Roofing, we believe that being a top-quality roofing company means more than simply doing a good job on your roof. It’s important that you’re treated fairly too! In the home repair industry, there’s a stigma that service people never show up on time. We know your time is valuable, so our roofing contractors always arrive on time. When we come for an onsite estimate, we carefully inspect your roof for any problems. And while we’ll go over any issues we find, we don’t pressure you to sign a contract, and we’ll give you an honest recommendation on what work should be done. Before we complete any job, we take you to look over our work and the job site to see the finished product. Only after you’re satisfied do we wrap everything up and collect the payment. You’re sure to be impressed by our value, friendliness, and integrity!